We have been on a bit of a roll talking about neural injuries such as cervical radiculopathy, thoracic outlet syndrome and previously Alicia has written about the ulnar and radial peripheral nerves. It seems fitting and in the aim of completion, that we discuss median nerve entrapment and the most common entrapment neuropathy of them all, carpal tunnel syndrome (CTS). Especially as both cervical radiculopathy and thoracic outlet syndrome have pain referral patterns that can reach as far as the hand, knowing the differential features of each condition is paramount to a successful assessment. The purpose of this blog therefore is to provide an overview of CTS with a focus on clinical presentation, with the goal of complimenting previous blogs on cervical radiculopathy and thoracic outlet syndrome. Entrapment neuropathy has been defined throughout the literature as an “isolated peripheral nerve injury which occurs at specific locations where a nerve is mechanically constricted in a fibrous or fibro-osseous tunnel or deformed by a fibrous band” (England, 1999). Entrapment neuropathies are a “press-induced injury caused by anatomic structures or pathologic processes” (Toussaint, Perry, Pisansky, & Anderson, 2010). Where the peripheral nerves may become subject to compression, tension/stretch, friction or any combination thereof (Pratt., 2005). For a nervous system to function normally, it must be able to execute three primary function; withstand tension, slide within its container, and be compressible. Nerves to do simply stretch. Their movement is a combination of sliding, compression, elongation, convergence and bending…….. Each layer of the nerve has a separate role in each of these functions. Tension occurs in the perineum of the nerve. Nerves can sustain 8-22% elongation before failure with venous blood flow becoming restricted at 8% and occluded at 15%. So stretching nerves isn’t a good idea. Sliding is another movement that occurs in the mesoneurum and allows for dissipation of tension. Compression occurs in the epineurium and can sustain 30-50mmhg before tissue failure (Shacklock, 2005). Nerves are particularly sensitive to ischemia. When ischemic changes are due to acute compression the symptoms are reversible. However, when chronic oedema occurs it can leads to scar formation and irreversible changes in the nerve. Carpal tunnel syndrome, as the name suggests, is a syndrome or cluster of symptoms relating to pathology within the carpal tunnel. The cardinal signs of CTS are pain, paraesthesia and loss of motor control in the distribution of the median nerve. This includes pain, tingling, numbness in the first three fingers but sparing the palm of the hand, weakness of the thumb, loss of grip strength and varying degrees of loss of function. Above the wrist or symptoms involving the entire hand are uncommon and suggest a nerve lesion proximal to the carpal tunnel (Toussaint, Perry, Pisansky, & Anderson., 2010). Carpal tunnel syndrome (CTS) or median nerve entrapment at the wrist is the most common entrapment neuropathy for the upper limb and accounts for up to 90% of all neuropathies (Arle., 2000; Bayramoglu., 2004; Bordalo, Rodrigues & Rosenberg., 2004; Corwin., 2006). The prevalence of carpal tunnel syndrome (CTS) is reported throughout the literature between 3% in the general population and between 5-15% in occupations that involved repetitive and forceful hand tasks (Coppieters & Butler., 2008; Nee & Fields., 2010). CTS was not well recognised until 1941 (Arle, 2000) and it was later around 1959 that Phalen had promoted the surgical treatment for this problem. Since that time there has been extensive research into the condition, particularly because of its prevalence and associated medical cost, yet there is no set criterion for diagnosis. CTS was the first condition that I researched during my Masters program and after learning more about entrapment neuropathies, my curiosity into neurogenic pain, neuropathies and neurodynamic treatments grew. What I came to realise is that with these conditions, a sound understanding of anatomy and points of entrapment can greatly assist in clinical diagnosis. The median nerve arises from the medial and lateral cords of the brachial plexus (C6-T1). It does not give of motor branches until it reaches the forearm. The flexor/pronator group of muscles - pronator teres, flexor carpi radialis, palmaris longus and flexor digitorum superficialis – not flexor carpi ulnaris. It provides articular branches to the elbow and proximal radio-ulna joint and does not have a sensory distribution in the forearm. The median nerve continues through the forearm and prior to passing through the carpal tunnel the median nerve gives of a sensory palmar branch that innervates the central portion of the palm. The median nerve then travels through the carpal tunnel beneath the flexor retinaculum and gives of a motor and sensory branches to innervate abductor pollicis brevis, opponens pollicis, the superficial part of flexor pollicis brevis and the first and second lumbricals, and sensory branches to the innervate the palmar surface of the lateral three and one-half fingers (Beneciuk, Bishop & George, 2010; Bilecenoglu, 2005; Bordalo Rodrigues, et al., 2004; Bordalo Rodrigues & Rosenberg, 2004; Pratt, 2005). In some people between the accessory head of flexor pollicis longus. It is important therefore, to consider much more that just the wrist. There are other causes of CTS that are not due to entrapment but rather compression due to medical conditions (Beneciuk, Bishop & George, 2010; Bilecenoglu, 2005; Bordalo Rodrigues, et al., 2004; Bordalo Rodrigues & Rosenberg, 2004; Pratt, 2005). It has been previously documented (Tekin, et al., 2015) that there is a strong correlation between the presence of carpal tunnel syndrome (CTS) and diabetes mellitus. In the diabetic population there was a higher prevalence of synovial edema, vascular proliferation and thickening of vascular walls. Diabetes mellitus however, may not be the only endocrine and/or metabolic disorder that increases the prevalence of CTS. Hypothyroidism is a metabolic condition that occurs when the thyroid does not secrete enough thyroid hormones. “The primary hormones produced by the thyroid are thyroxine, triodothyrone, and calcitonin.” (Goodman, 2009, p. 465). One of the major symptoms of hypothyroidism is the accumulation of mucopollysaccharides and proteins within the tissues, causing edema. This edema is the resulting cause of compression of the median nerve within the carpal tunnel that results in CTS developing in people with hypothyroidism. Acromegaly is another consideration and a condition caused by excessive secretion of growth hormones from the pituitary gland that result in enlargement of the hands and feet due to increased bone thickening and soft tissue hypertrophy (Goodman, 2009; Kumar, Abbas, Fausto, & Mitchell, 2007). These are just three possible conditions that result in CTS and as physiotherapists we will be most effective in addressing the nerve injuries that arise from either repetitive activity, external pressures, or post traumatic conditions. What I learnt recently while studying metabolic and endocrine diseases is that having solid medical management of the other conditions is very important if CTS is being caused by thyroid disease, growth hormones, diabetes etc. All of these conditions lead to altered fluid balance, altered structure within the canal itself and different degrees of inflammation. Be sure to question for medical conditions during your subjective assessment and establish if these conditions are being well managed. If not, we are less likely to see success in our treatment because we can't change these factors with our physiotherapy treatment. Primary complaint of paraesthesia or numbness in the hand which involves the first three and a half fingers and the nail beds and distal fingers on the dorsal side. The patient will report that the symptoms are worse nocturnally. They might also mention that the symptoms can be eased with vigorous hand shaking. They may report loss of dexterity with grasping objects and doing up buttons. Pain which is not involving the first three and a half fingers. Loss of sensation of the thenar eminence or entire palm. As mentioned previously CTS presents with pain and P&N in the 3.5 fingers, C6/7 radiculopathy will present with aching pain through the medial border of the scapular and radiating pain along the distribution of the nerve, thoracic outlet syndrome will be more likely to present with mild or aching pain on the ulnar side of the forearm. P&N and N will be in the same distribution as the pain in CTS, and more likely to follow the C6/7 dermatome with CR. With cervical radiculopathy weakness will be myotomal. In CTS weakness will be in thumb - abductor pollicis brevis, opponens pollicis, the superficial part of flexor pollicis brevis and the first and second lumbricals. With TOS the hand weakness and clumbiness is present as well as atrophy or guttering of the thenar eminece where Adductor pollicis brevis lies. Aggravating and easing factors are easier to differentiate. CTS was mentioned previously as nocturnal symptoms and with sustained flexion positions of the wrist. CR is agg with neck movements and added compression. 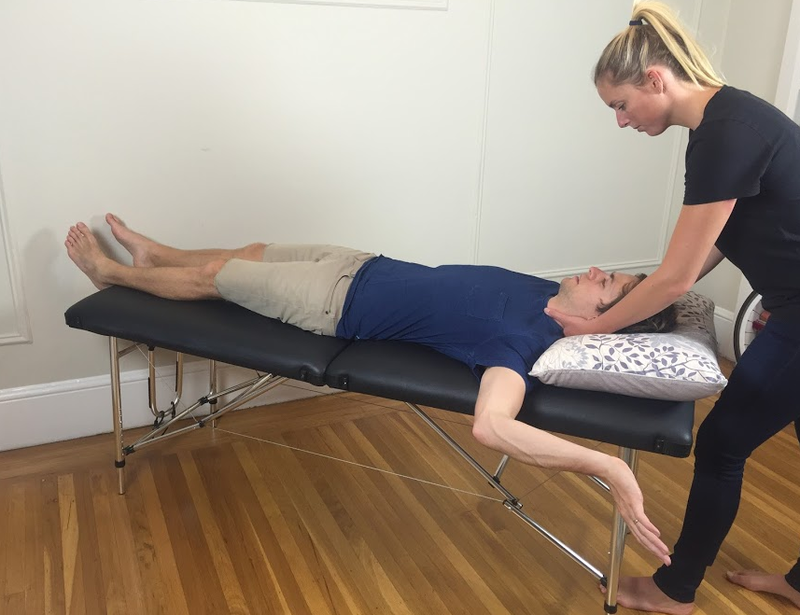 Palpation is another useful examination tool and will require you to palpate the cervical spine and along the course of the median nerve throughout the arm and into the hand, specifically looking at the potential points of entrapment listed above. This is a short list of differentiating features but don't forget the usefulness of AROM and PROM test, neurological examination, neurodynamic examination and special tests for cervical radiculopathy (Spurling and distraction tests), TOS (Wright's, Adson's, Costoclavicular and Roos test) and CTS (Tinel's sign and Phanel's test). Another consideration for assessment is the inclusion of grip strength, pincer strength and self reported outcome measures for levels of disability and function of ADLs. These are all great outcome measures which look at the impact of CTS not just the symptoms of pain and paraesthesia. Special tests reported in the literature for assessment of CTS is the Phalen’s test and Tinel’s sign. Phalen’s test is described as sustained end of range wrist flexion for at least 60 seconds which is considered positive if hand symptoms are reproduced. The Tinel’s sign is reproduction of pain or symptoms following three taps to the carpal tunnel by the therapist. Phalen’s test has been shown to have 75% sensitivity ranging from 10 to 91% and specificity ranging from 33-100%, while the Tinel’s sign has sensitivity ranging from 23-67% and specificity ranging from 55-100% (Bayramoglu, 2004; Vanti et al., 2012). One of the other tests I consider to be crucial in diagnosing CTS is the use of neurodynamic assessment with a median nerve bias. If you'd like to read more about the theory behind neurodynamic assessments and levels of assessment/treatment please refer to this blog. Cleland and Koppenhaver (2011) define a positive response as having any one of the following: symptom reproduction, change in symptoms with distant segmental movement or a difference between limbs of >10°. Normal sensory responses may include aching, burning, stretching, or tingling in the medial elbow, the forearm, or hand. Most research looks at specificity and sensitivity in diagnosing cervical radiculopathy with only three known studies assessing this in carpal tunnel syndrome. The sensitivity of the median nerve bias neurodynamic test has been reported between 75-82% (Conevey., 1997; Vanti., 2010; & Wainner., 2005). Nerve conduction studies remain the diagnostic standard due to their ability to detect the difference between axonal and demyelination pathologies. One downfall of nerve conduction studies is that they don't provide information on structural abnormality of the peripheral nerve, and therefore needs to be used in conjunction with U/S and MRI to improve diagnosis (Arle, 2000; Beneciuk, et al., 2010; Bordalo Rodrigues & Rosenberg, 2004; Campbell, 1997; Hobson-Webb et al., 2012; Kim, et al., 2007b; Mar6noli et al., 2000; Wainner et al., 2003). Ultrasound can be used to detect cross sectional area of the nerve, which is a reliable objective measure of disease. When compared to MRI is has excellent visualisation of nerves but is heavily operator dependent. Flattening of the median nerve at the level of hamate. There are two general approaches for treatment of CTS, conservative and surgical. Conservative approaches traditionally involve avoidance from aggravating factors, use of a splint during the day or night, oral steroidal medication and on occasion wrist mobilisation techniques (Bayramaglu., 2004; Uchiyama, et a., 2010). Not often do articles discuss the use of neurodynamic sliding treatment techniques or exercises, which is a major focus of the treatment I use for this condition. "Neurodynamic mobilization, the technique of neural gliding is movement-based and attempts to take the nerve throughout the available range of movement, potentially affecting the nerve both mechanically and physiologically" (McKeon & Yuncosek., 2008, p. 325). Results from this study by McKeon and Yuncosek showed that neural gliding exercises have a strong effect on grip and pincer strength, pain and symptoms and self reported levels of disability in patients with CTS. Unfortunately, they don't describe such exercises at depth. To understand these movements further I referred to Shacklock's book Clinical Neurodynamics. 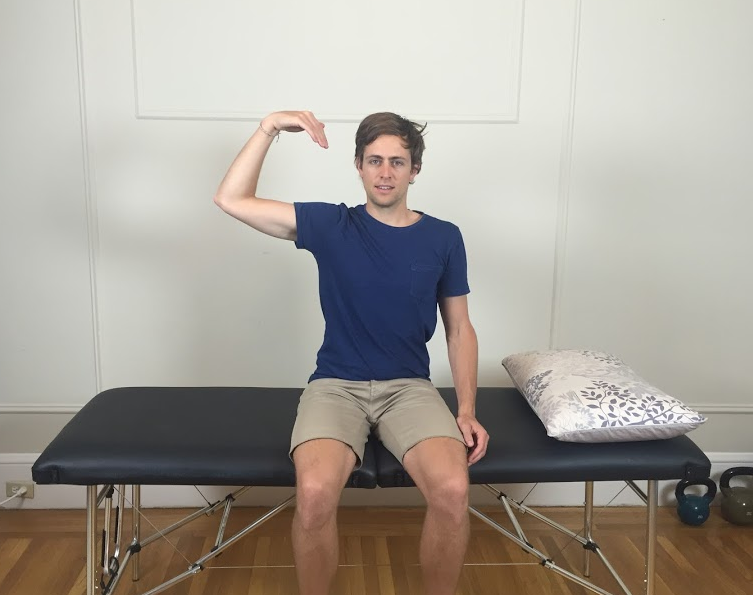 To perform a median nerve slider in the standard position you would position yourself as though you are going to perform the median nerve biased neurodynamic assessment. To switch from assessment to treatment you combine wrist flexion with the elbow extension, and wrist extension with elbow flexion. Based on the level of severity and irritability of your patient, you my choose to offload the patient by first positioning the patient in ipsilateral cervical lateral flexion and not using scapula depression. You can also choose to control the movement of cervical lateral flexion and provide a side gliding movement while the patient performs the movement at the elbow +- wrist (depending on level of severity). Below are two images that represent a version of the median nerve slider in sitting. When more pressure is put on the distal portion of the nerve at the level of the wrist, pressure is reduced proximally with cervical lateral flexion. If you wanted to change this exercise into a tensioner rather than a slider then you would use contralateral cervical lateral flexion. I personally find the sliders to be comfortable, easy for patients to perform and have good effect on pain and function without provocation of symptoms. Surgical treatments generally involve open surgical release of the flexor retinaculum and is recommended for patients who fail conservative treatment, have intolerable pain, constant numbness and weakness with ADLS (Bayramaglu., 2004). CTS is the most common entrapment neuropathy of the upper limb. It is commonly considered in the differential diagnosis with thoracic outlet syndrome and cervical radiculopathy. Understanding the primary cause of CTS can be challenging based purely of clinical test, so be sure to question for medical conditions that can be causing CTS by changing fluid balance, inflammation and structure of the canal. 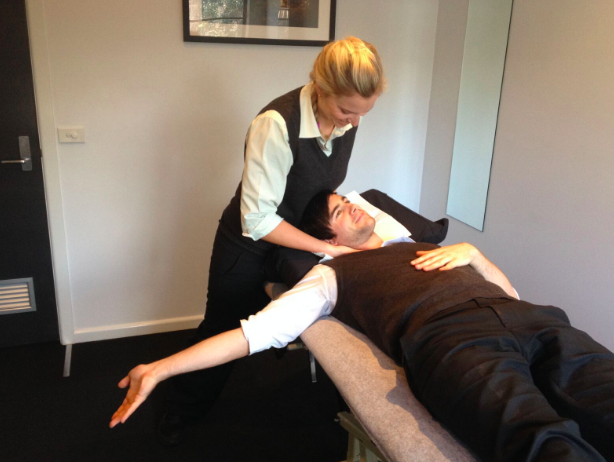 Take care in considering proximal points of entrapment and the role of the cervical spine in this condition. 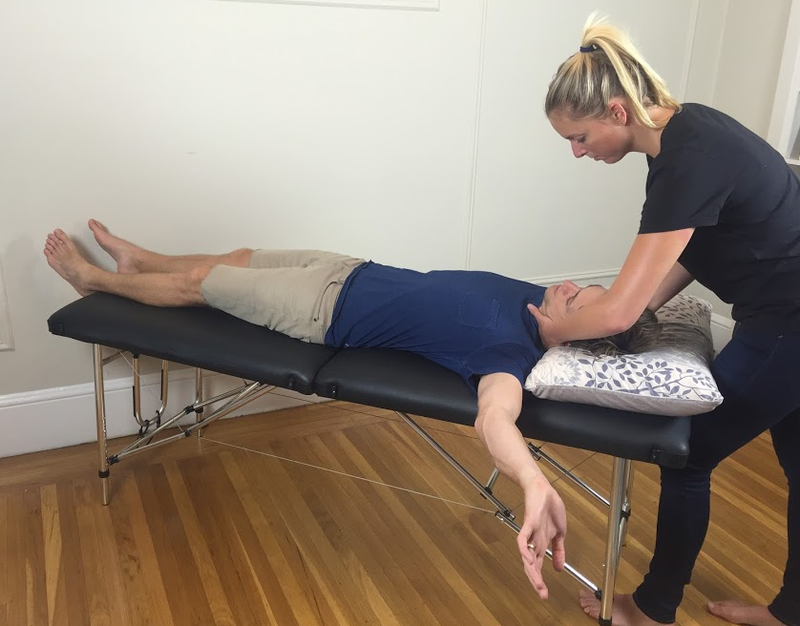 From a treatment perspective, neurodynamic assessment and treatment are becoming increasingly recognised for their ability to altered the mechanics and physiology of the nerve. Arle, J. E. (2000). Surgical treatment of common entrapment neuropathies in the upper limbs. Muscle & nerve, 23(8), 1160‐1174. Bayramoglu, M. (2004). Entrapment neuropathies of the upper extremity. Neuroanatomy, 3(1), 18-24. Bencardino, J. T. (2006). Entrapment neuropathies of the shoulder and elbow in the athlete. Clinics in sports medicine, 25(3), 465. Beneciuk, J. M., Bishop, M. D., & George, S. Z. (2010). Pain catastrophizing predicts pain intensity during a neurodynamic test for the median nerve in healthy participants. Manual Therapy, 15(4), 370‐375. Bilecenoglu, B. (2005). Possible anatomic structures causing entrapment neuropathies of the median nerve: an anatomic study. Acta orthopaedica belgica, 71(2), 169-176. Bordalo Rodrigues, M., Amin, P., & Rosenberg, Z. S. (2004). MR imaging of common entrapment neuropathies at the wrist. Magnetic resonance imaging clinics of North America, 12(2), 265‐279. Bordalo Rodrigues, M., & Rosenberg, Z. S. (2004). MR imaging of entrapment neuropathies at the elbow. Magnetic resonance imaging clinics of North America, 12(2), 247-263. Butler, D.S. (2002) The Sensitive nervous system. Unley, Australia: Noigroup Publications. Campbell, W. W. (1997). Diagnosis and management of common compression and entrapment neuropathies. Neurologic clinics, 15(3), 549‐567. Campbell, W.W. & Landau, M.E. (2008) Controversial Entrapment Neuropathies. Neurosurgical Clinical Anatomy,19,598-608. Cakir, M., Samanci, N., Balco, N., & Balci, M. K. (2003). Musculoskeletal manifestations in patients with thyroid disease. Clinical endocrinology, 59(2), 162-167. Cleland, J., & Koppenhaver, S. (2007). Orthopaedic clinical examination : an evidence‐based approach for physical therapists (2nd ed. ): Elsevier. Coppieters, M., Stappaerts, K., Janssens, K., & Jull, G. (2002). Reliability of detecting 'onset of pain' and 'submaximal pain' during neural provocation testing of the upper quadrant. [Comparative Study;]. Physiotherapy research international : the journal for researchers and clinicians in physical therapy, 7(3), 146‐156. Coppieters, M. W., Alshami, A. M., & Hodges, P. W. (2006). An experimental pain model to investigate the specificity of the neurodynamic test for the median nerve in the differential diagnosis of hand symptoms. Archives of physical medicine and rehabilitation, 87(10), 1412-1417. Coppieters, M. W., & Butler, D. S. (2008). Do 'sliders' slide and 'tensioners' tension? An analysis of neurodynamic techniques and considerations regarding their application. Manual Therapy, 13(3), 213‐221. England, J. D. (1999). Entrapment neuropathies. Current opinion in neurology, 12(5), 597-602. Goodman, C. C. (2009). Pathology: implications for the Physical Therapist. Elsevier Health Sciences. Hobson‐Webb, L. D., Padua, L., Martinoli, C., Bianchi, S., Gandolfo, N., Valle, M., et al. (2012). Ultrasonography in the diagnosis of peripheral nerve disease. Expert Opinion on Medical Diagnostics, 6(5), 457-471. Kim, S., Choi, J. Y., Huh, Y. M., Song, H. T., Lee, S. A., Kim, S. M., & Suh, J. S. (2007). Role of magnetic resonance imaging in entrapment and compressive neuropathy—what, where, and how to see the peripheral nerves on the musculoskeletal magnetic resonance image: part 1. Overview and lower extremity. European radiology, 17(1), 139-149. Kim, S., Choi, J. Y., Huh, Y. M., Song, H. T., Lee, S. A., Kim, S. M., et al. (2007b). Role of magnetic resonance imaging in entrapment and compressive neuropathy—what, where, and how to see the peripheral nerves on the musculoskeletal magnetic resonance image: part 2. Upper extremity. European Radiology, 17(2), 509 - 522. Kleinrensink, G. J., Stoeckart, R., Mulder, P. G., Hoek, G., Broek, T., Vleeming, A., & Snijders, C. J. (2000). Upper limb tension tests as tools in the diagnosis of nerve and plexus lesions. Anatomical and biomechanical aspects. Clinical biomechanics (Bristol, Avon), 15(1), 9-14. Lo, S.-F. (2012). Clinical characteristics and electrodiagnostic features in patients with carpal tunnel syndrome, double crush syndrome, and cervical radiculopathy. Rheumatology international, 32(5), 1257-1263. Lohkamp, M., & Small, K. (2011). 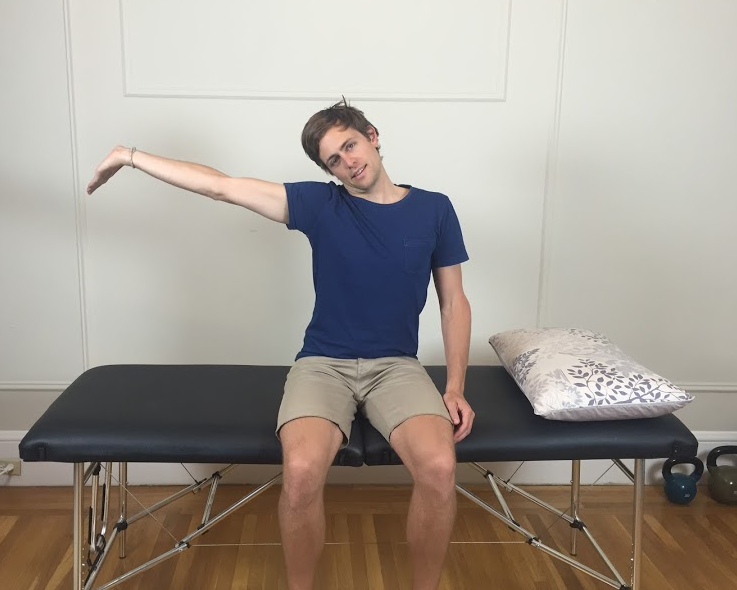 Normal response to Upper Limb Neurodynamic Test 1 and 2A. Manual Therapy, 16(2), 125-130. Mackinnon, S. E. (2002). Pathophysiology of nerve compression. Hand clinics, 18(2), 231-241. Martinoli, C., Bianchi, S., Gandolfo, N., Valle, M., Simonetti, S., & Derchi, L. E. (2000). US of Nerve Entrapments in Osteofibrous Tunnels of the Upper and Lower Limbs1. Radiographics, 20(suppl1), S199‐217. McGillicuddy, J. E. (2004). Cervical radiculopathy, entrapment neuropathy, and thoracic outlet syndrome: how to differentiate? Invited submission from the Joint Section Meeting on Disorders of the Spine and Peripheral Nerves, March 2004. Journal of neurosurgery. Spine, 1(2), 179-187. MCKEON, JM Medina; YANCOSEK, Kathleen E. Neural gliding techniques for the treatment of carpal tunnel syndrome: a systematic review. Journal of sport rehabilitation, 2008, vol. 17, no 3, p. 324-341. Neal, S., & Fields, K. B. (2010). Peripheral nerve entrapment and injury in the upper extremity. [Review]. Am Fam Physician, 81(2), 147-155. Nee, R. J., & Butler, D. S. (2006). Management of peripheral neuropathic pain: Integrating neurobiology, neurodynamics, and clinical evidence. Physical therapy in sport, 7(1), 36‐49. UCHIYAMA, Shigeharu, et al. Current concepts of carpal tunnel syndrome: pathophysiology, treatment, and evaluation. Journal of Orthopaedic Science, 2010, vol. 15, no 1, p. 1-13.